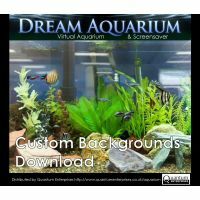 Dream Aquarium - 37 Fish Tank Backgrounds (Download) - Unique gifts and corporate services. If you get bored with the two tanks available in Dream Aquarium you can always add a custom background of your own. But where can you find more backgrounds? Well, look no longer, because here we present 37 top quality aquarium backgrounds. At nearly 17MB, these are PHOTOGRAPHS of REAL AQUARIUMS and therefore add an extra dimension of realism to your virtual aquarium. Plus, with the latest version of Dream Aquarium, you can even add the backgrounds behind the 3D rock tank!! (see example image below). Please see included PDF file for image credits. 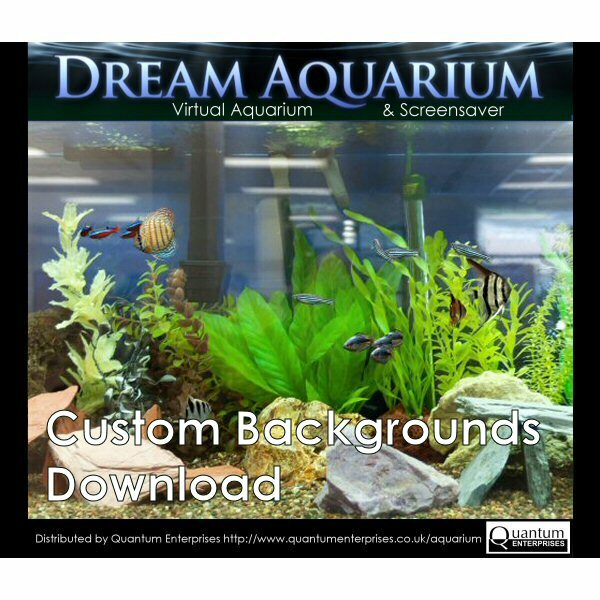 The above video shows every one of the 37 available backgrounds for your Dream Aquarium tank. 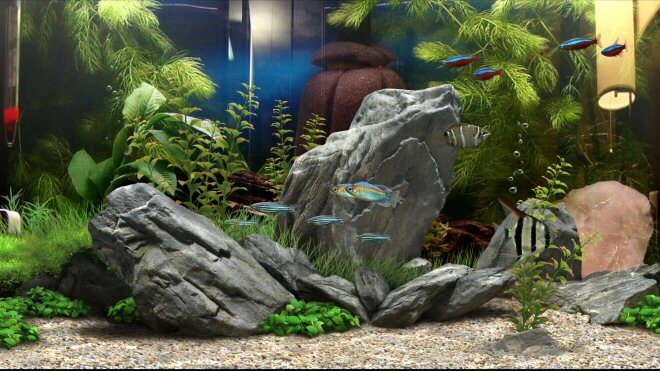 Example of a background (Aquarium 15) used in the rock tank, which is allowed in the latest version of Dream Aquarium.